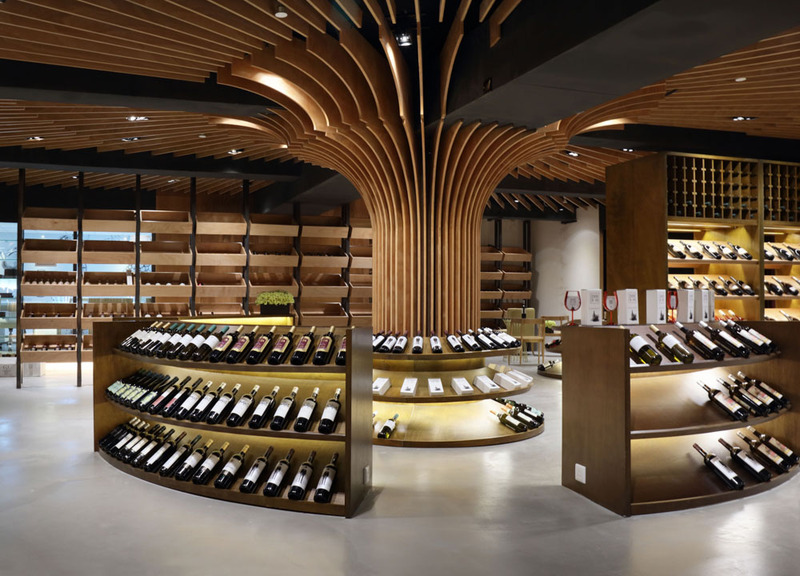 Here is a multi – functional venue for wineries from all over the world, to sell, exhibit and wine tasting. 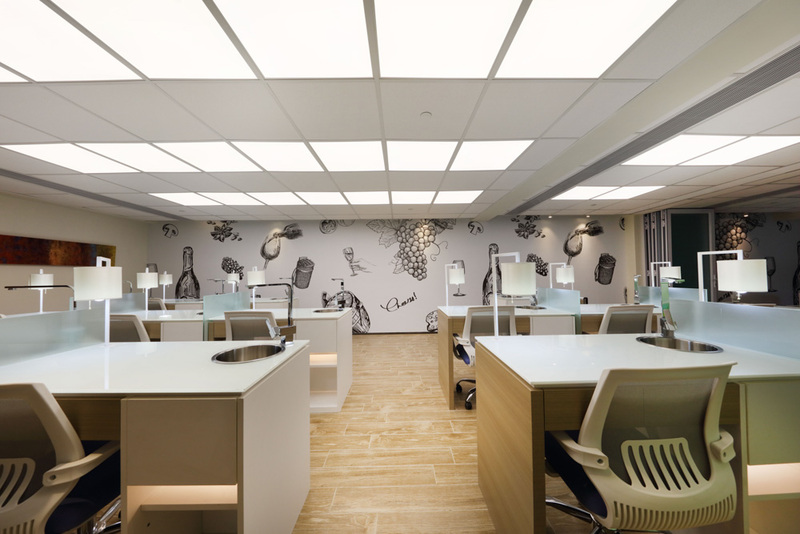 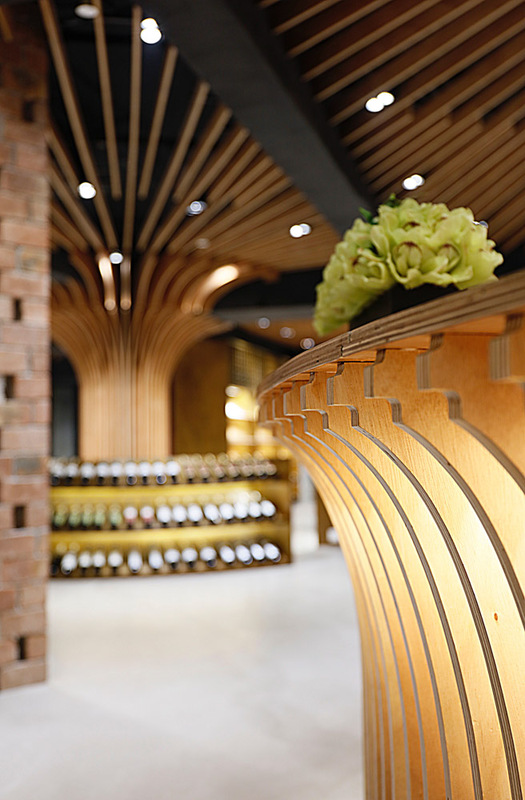 Different from the traditional industrial winey concept, the design team has perfectly integrated elements from European architecture, modern aesthetics, and light industry. 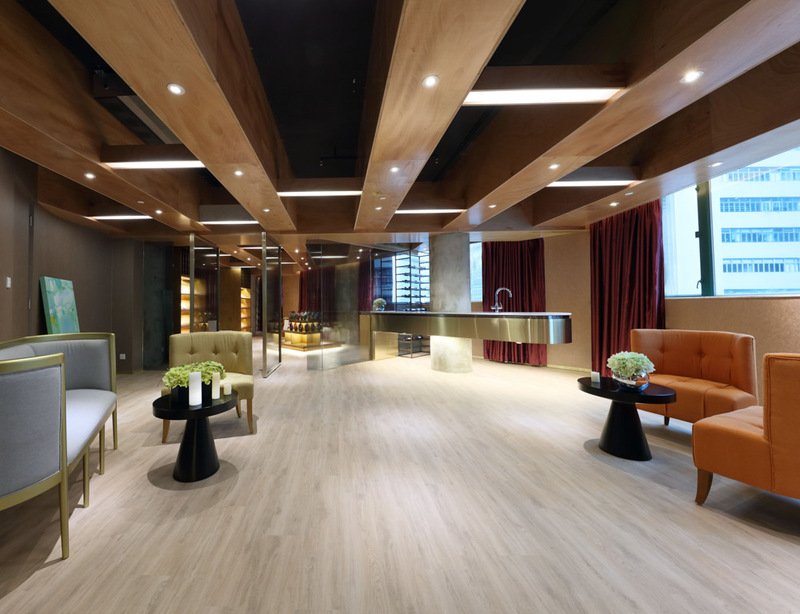 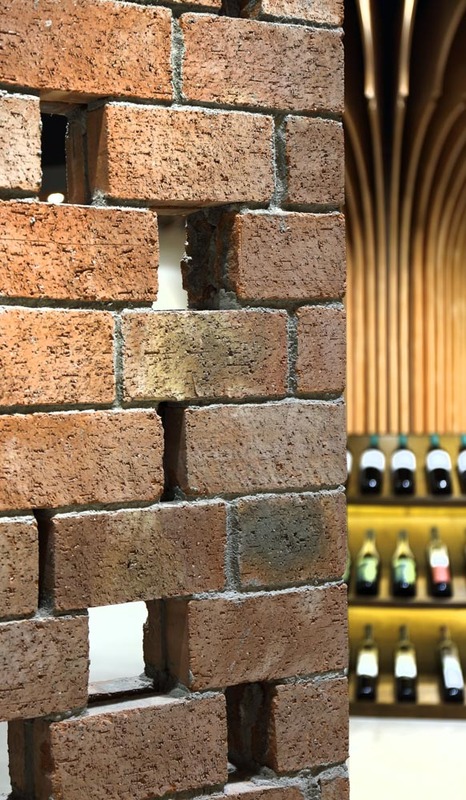 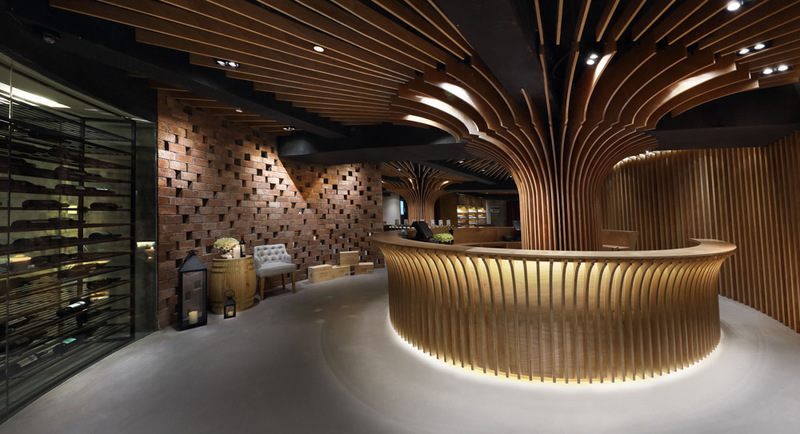 Due to the respect to the building’s original design, merging with the understanding of red wine, the design team has used simple red color bricks wall, cement floor, and natural color wood splint, removed those extra finishings and exposed the original prime material. 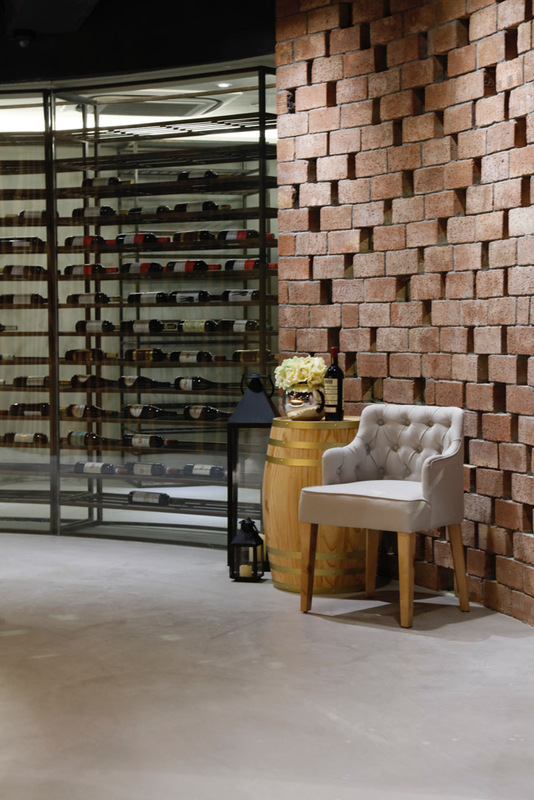 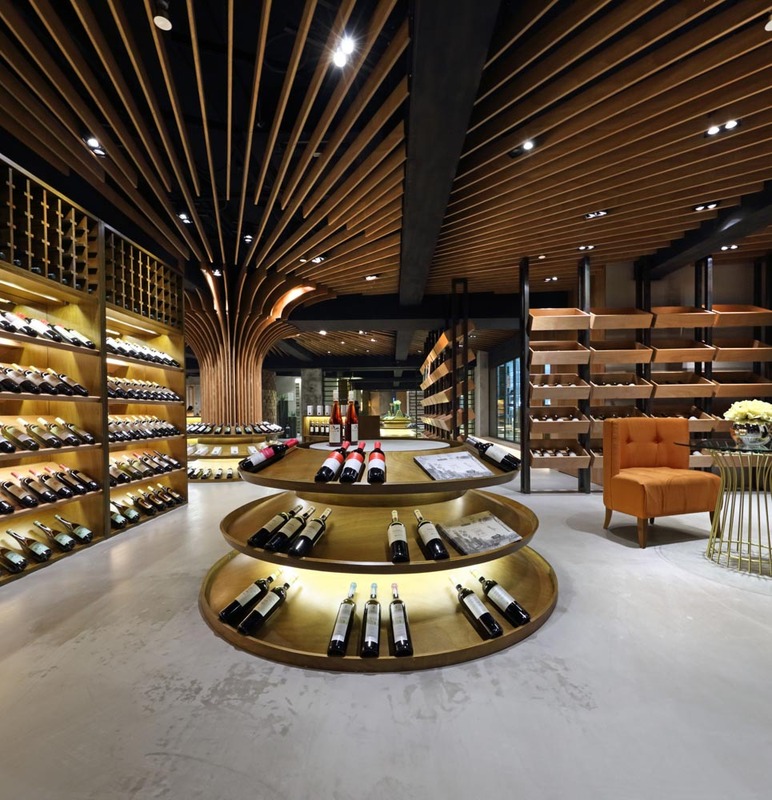 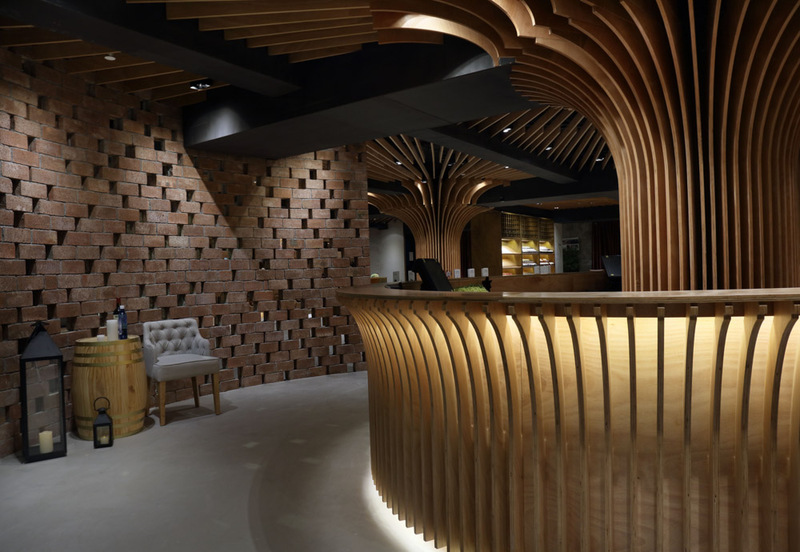 To take on an industrial style in the overall decoration, its timber veneer uses splint with rich texture, reception adopts the red brick wall and can display red wine on the rusting iron wine shelf. 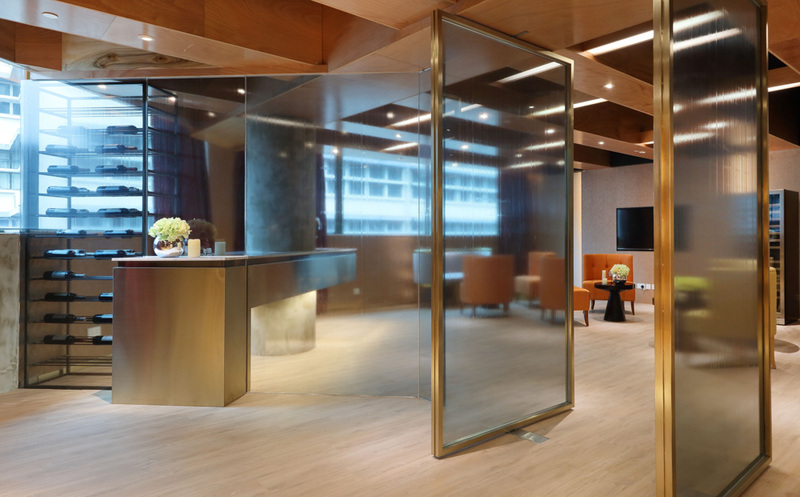 European styles columns placed around the reception area at the entrance, with the stylish modeling wooden interpretation, have cleverly hidden the pillars. 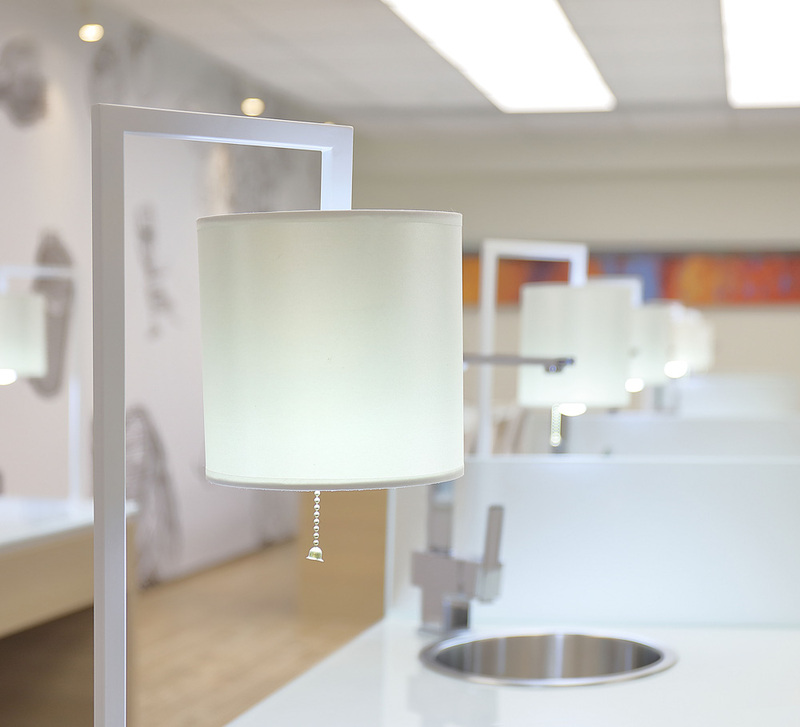 The final design concept has represented the artistry, practicality, spatiality and versatility. 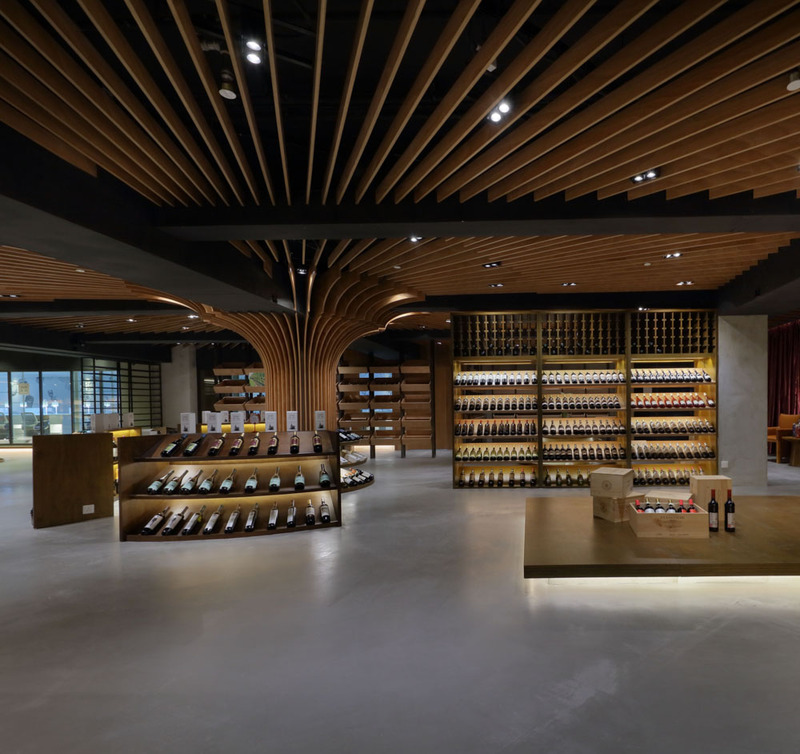 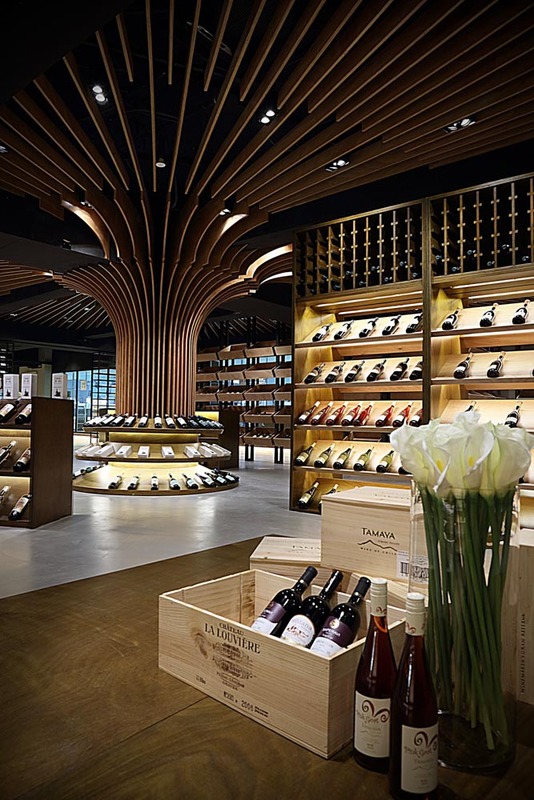 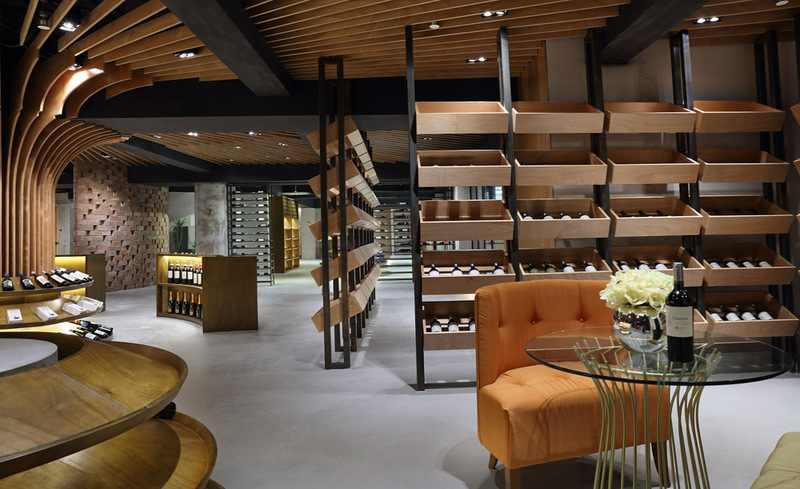 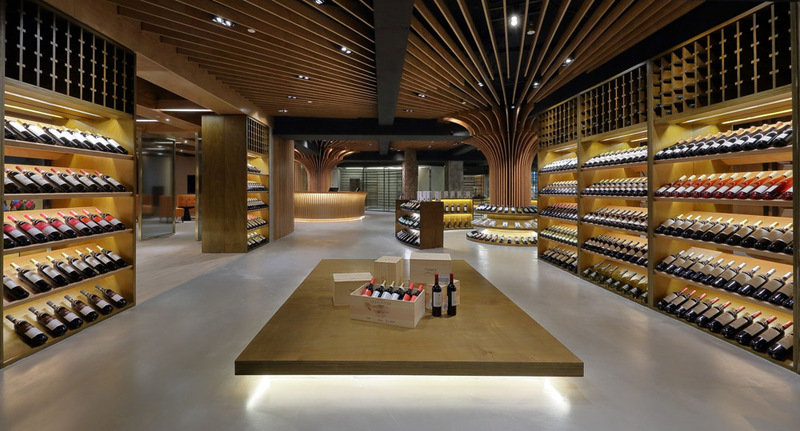 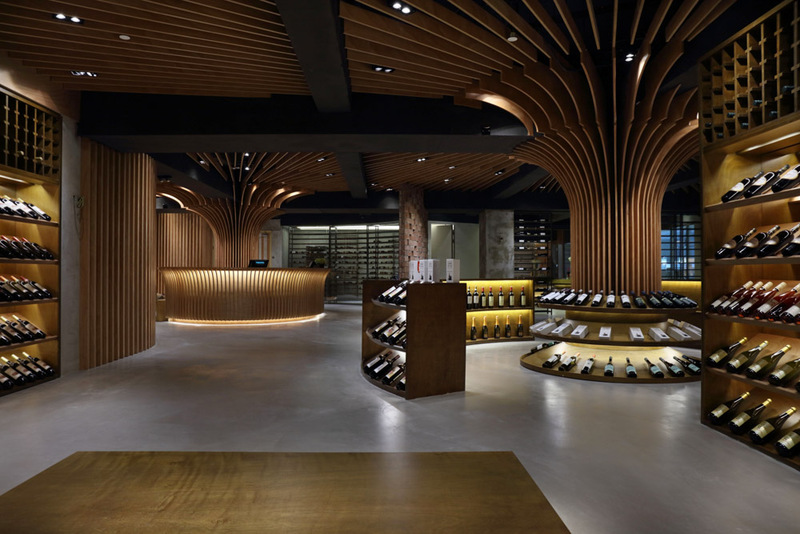 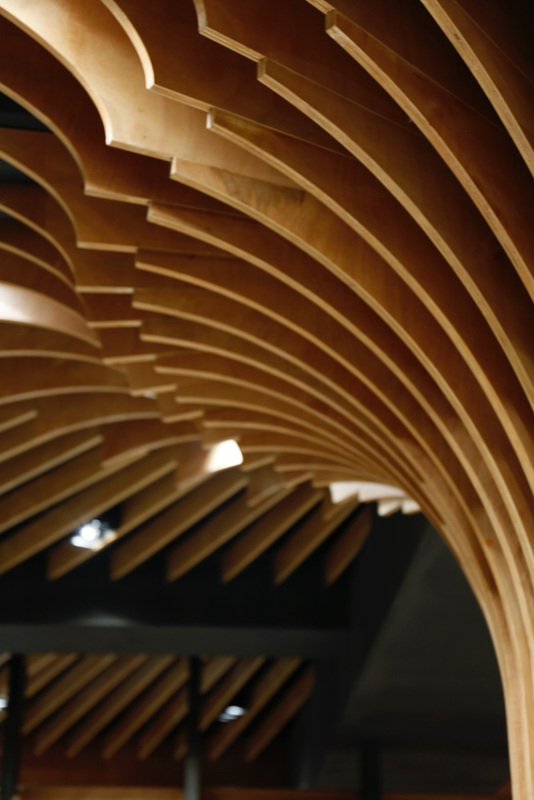 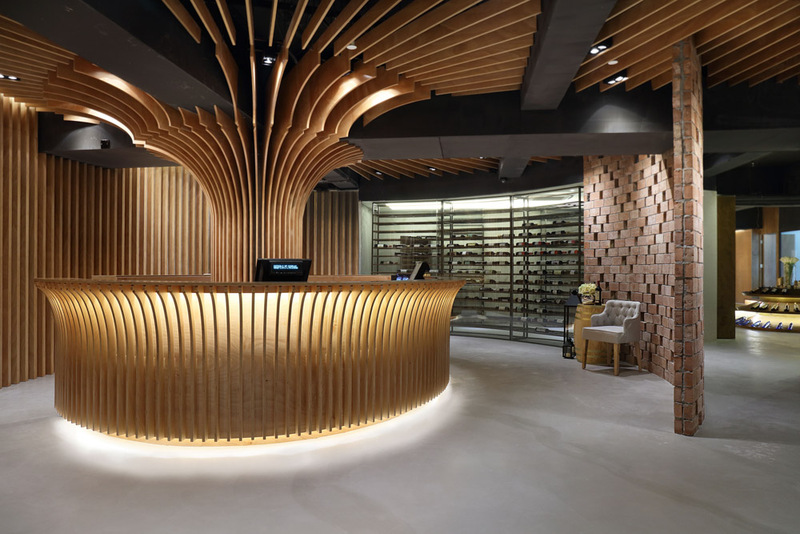 From the reception to the wine display sales area, the whole ceiling is painted in black, the structural column is inlaid the timber veneer all the way to the ceiling. 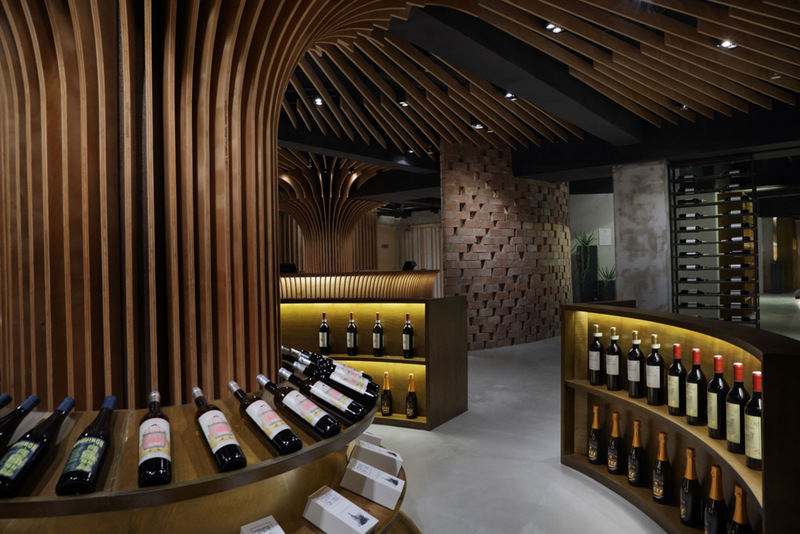 Its unique design has a dynamic layout, which creates a perception of infinite continuous display of space. 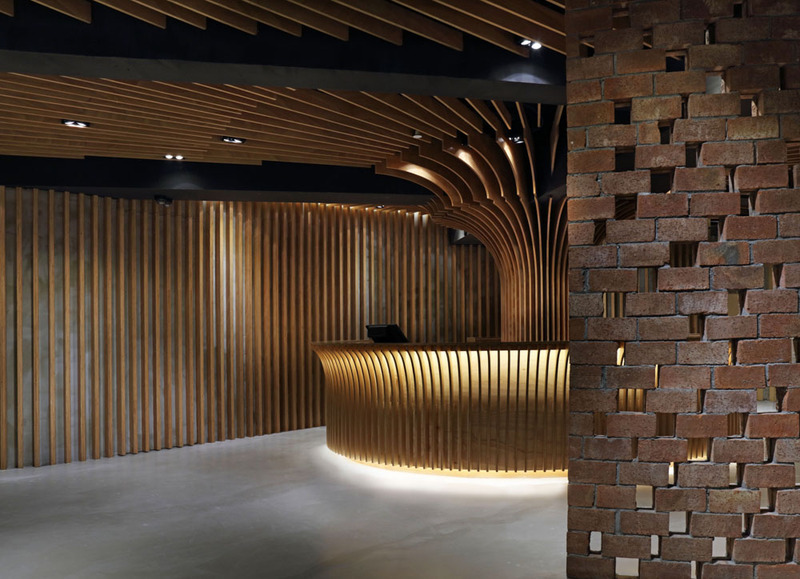 All the materials are deliberately removed from its flashy coat to retain their natural texture. 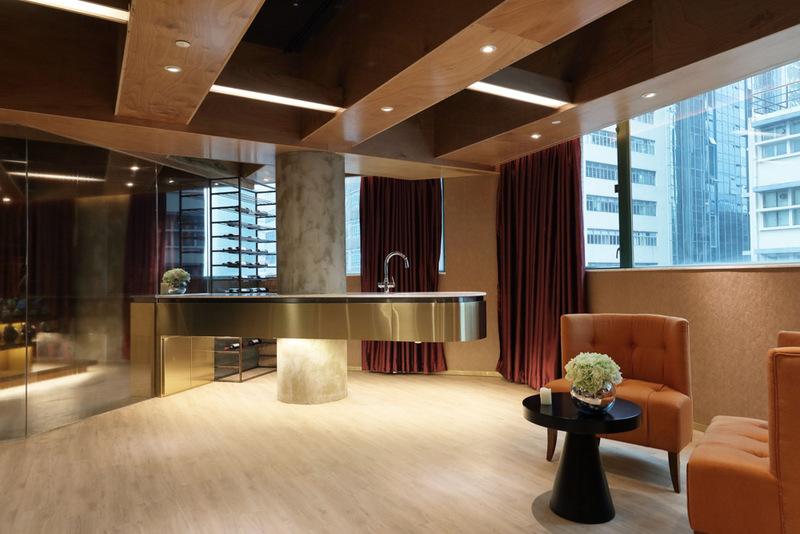 With the simple ceiling layout and the modern stylish bar, together with the concise European style furnishings, this area stands out as its own but still existed in harmony. 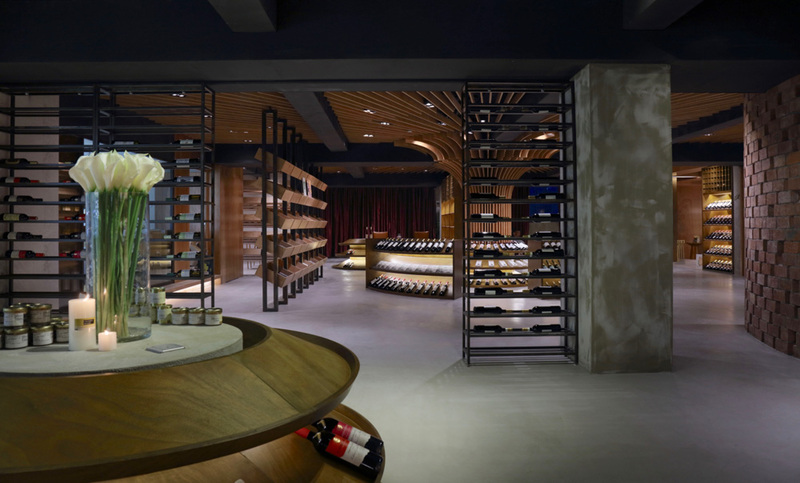 At the VIP wine tasting area, an open glass revolving door is used to break the binding and increase the spatial sense of hierarchy. 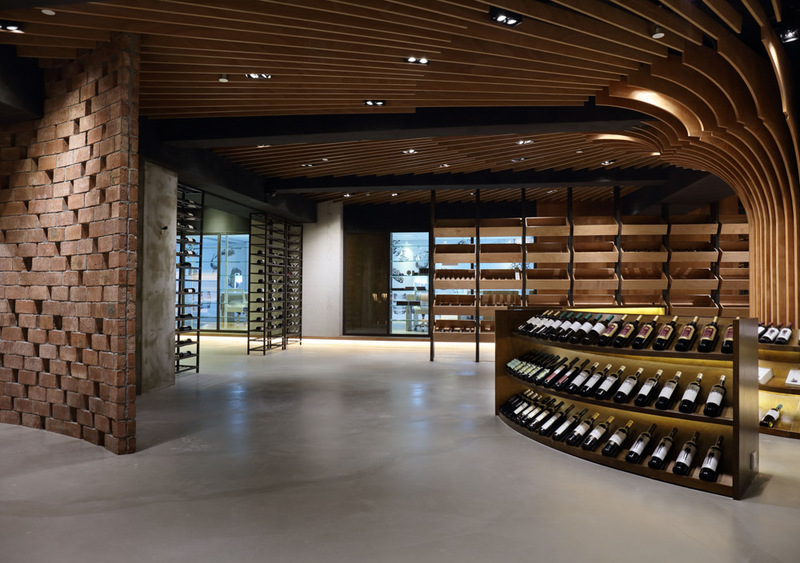 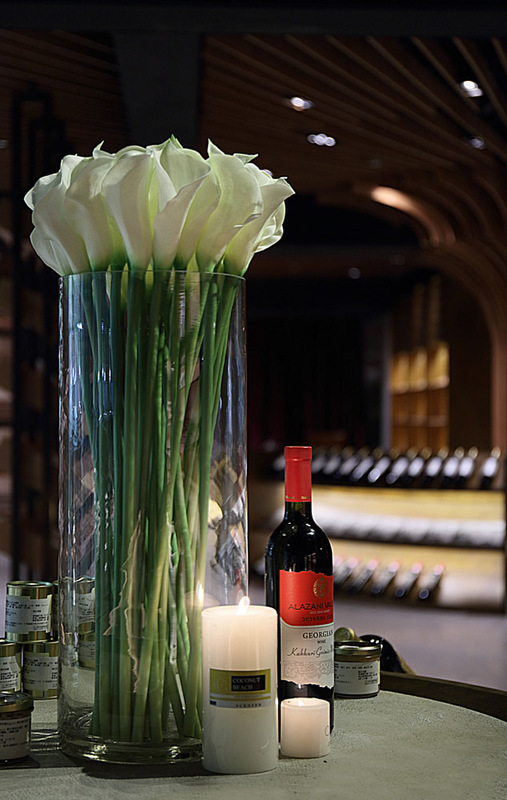 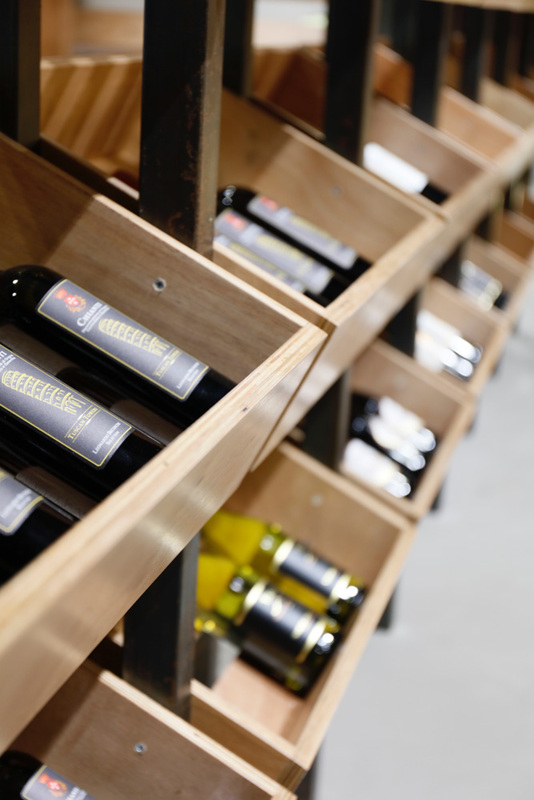 Centre De Vin combines multi-functions together, including the red wine display sales area, VIP-exclusive wine tasting room, and classroom for holding wine tasting workshop as well.